Plastics. Invented in 1907 it brought significant improvements to our societies and economies. It was only then that humans could create new materials, without being limited to what nature had to offer. Plastics could protect the natural world from the destructive forces of ever-increasing human needs! Yet, fast forward to 100 years later and its implications are devastating. Next to the obvious plastic pollution caused by plastic bottles, plastic bags, disposable this and that… there are also these tiny little invisible microplastic fibers, deriving from synthetic clothing. Most of us have learnt to understand there was a need to start saving on water and energy consumption. Yet surprisingly few are aware of the problems that microfibres can cause. Once entering our waters they attract toxins, pesticides, industrial chemicals and pathogenic bacteria. Being so tiny, fish confuse them for plankton and that is how they enter our food chain – causing severe poisoning, genetic disruption, infertility and deseases. So – microfibres contaminating our waters are our thing and we'll go wherever necessary to make it more known, more unpopular, more unwanted. Engaging the industries (textile, fashion, washing), end-users, media, independent environmental agencies, NGOs, making allies with relevant institutions on legislative level – whatever it takes to make our fight everybody's fight. We want to be loud enough to be heard, clear enough to be understood, persuasive enough to be converting ignorance into action. Our mission is to demonstrate that it matters. Steps can be small, solutions can be simple, just start acting! Solutions - How To Help? Fill the washing machine up to the maximum. Wash your clothes at lower temperatures and wash them less frequently! Use natural materials. Natural fibres such as cotton, linen, wool, silk are a viable alternative! Use PlanetCare filter and tackle the problem closer to the source – with a filter in your washing machine! First PlanetCare filter performance was tested at Slovenian National Institute of Chemistry - Centre for Validation Technologies and Analytics, holding EU quality control certificate, issued by Agency for Medicinal Products and Medical Devices of the Republic of Slovenia. 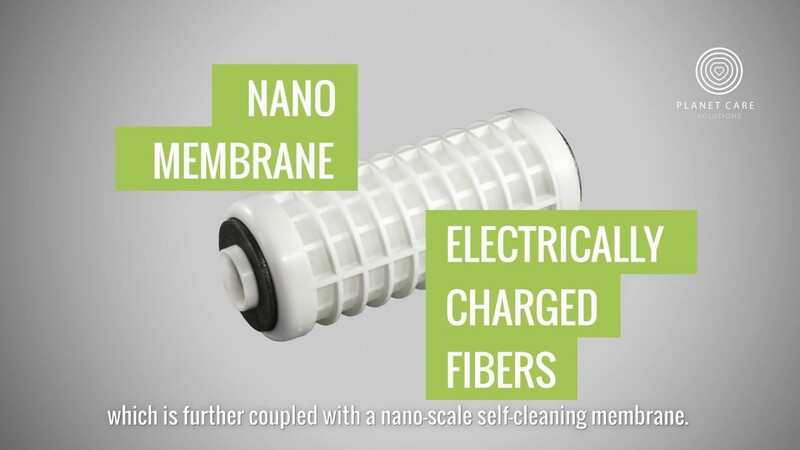 2 types of tests were performed – with and without PlanetCare filter incorporated into the washing machine. As a result indicator we used two types of filter - 2,5 micron micro filter and then 0,01 micron ultra-filter. As a sample wash, we performed washing of one load on a contemporary washing machine - 1hour 55 minute programme, 40°C, liquid detergent, fleece clothes. All drained water through the washing cycle was isolated into a separated pool. It was then pumped through 2,5 micron micro filter, and also through 0,01 micron ultra-filter. Micro filter and ultra filter were then dried out by a Slovenian National Institute of Chemistry, waste was weighted. One washing cycle produced 1403,95mg of plastic fibres to go through the drain water into the sewing system. Incorporated PlanetCare filter was able to collect 1105,59mg of plastic fibres in the first washing cycle.